What could possibly go wrong in a home? Or an office or a factory? Probably, quite a lot can go wrong. There could be a cure that rages violently and burns everything down. A burglar might break in through a window and spirit away some valuables. One or more of the inhabitants could enter into a medical crisis, requiring urgent medical attention. A pipe could explode, pouring effluent where it is not supposed to be. So, yes, quite a lot of damage can be done to these buildings in quite a short period of time. Is there a way to combat these threats? 1 Why do you need an alarm system? Considering the severity of these dangers, and how quickly they can cause destruction, there is a need for an equally swift (or a swifter) and efficient response to the threat before it escalates. So, let’s talk about alarms. You see, the beauty of an alarm is that you do not have to be on constant watch over your territory. Whenever something is going wrong, and the alarm will be triggered, and boom! The relevant authorities will be alerted quickly and a solution to the problem will be obtained. This way, these threats will not be given enough space to wreak havoc. For more ideas, check out https://www.thinkprotection.com. There are actually many types of alarm systems, but let’s take a deeper look at five of them. This alarm system is tested and trusted by various large organizations like LifeShield and ADT. Okay, how do they work? This is basically a new and improved version of your regular everyday alarms, but instead of being connected to the alarm bell alone, the sensor of this alarm system is connected to both the alarm bell and to a distant monitoring bell. In other words, whenever the alarm is set off at any time of the day, all year round, there will be a professional on call to attend to it. The professional would probably call you then to detect if the alarm was a false alarm or not. If not, then the police would be alerted speedily in order to bring the situation under control. You can also connect other things, like sensors for fire and carbon monoxide, to this alarm system for greater coverage and protection. Fire can be very helpful, but at the same time can be a very destructive force, especially in residential areas. And in such incidents of a rampaging fire outbreak, the speed of response could be the difference between salvation and destruction. And as the saying goes, there is no smoke without fire. The smoke alarm system should be an integral part of every household. This is how it works. Even while the fire is still small, it is already producing combustion gases like carbon monoxide and carbon dioxide. The combustion gases sensor of the smoke alarm system detects these gases. How does it detect the gases? Well, the mechanism varies from one combustion gas sensor to another. But on principle, once these gases are detected, it indicates the presence of a fire. Rapid action can then be taken to extinguish the fire, probably by the local fire department. You can go a step further by installing a full-fledged fire alarm system. This system incorporates a heat sensor and a sprinkler system to the existing combustion gases sensor, making your home basically fireproof. One of the most effective ways of discouraging “window shoppers”. This aid can be very helpful especially in areas where burglary and other forms of hooliganism are rife. The burglar alarm system incorporates motion detectors at both doors and windows. These sensors are connected to a primary panel. If a sensor is tripped, the panel lets off a loud alarm, alerting the police to the break-in. Here, your home security alarm system has an emergency button which you can use to alert ambulance services in case of a medical crisis. Very helpful especially with elderly individuals. 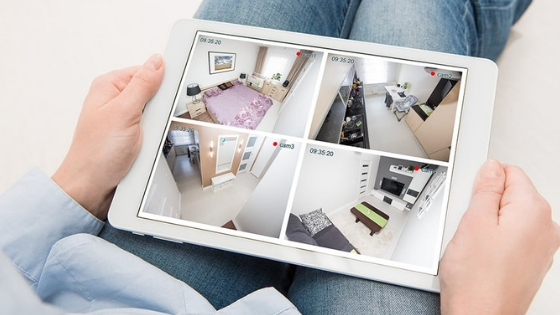 Basically, this alarm system helps you detect when any part of the property is being damaged. The alarm system works by monitoring your plumbing and heating, so that even if a pipe bursts in your absence, the alarm will notify the relevant professionals to take care of it. Disasters, as unfortunate as it is, could occur quite at random. But with proper vigilance, we can limit the rate of occurrence, and minimize the damage caused when they do occur. Which Antimalware Software to choose: Zemana AntiMalware or Malwarebytes AntiMalware?